Beautifully functional and tight fitting Plastic Measured Pour Spouts with extra bottle collar to fit snug around the bottle opening. Measured pours mean liquor cost stay in-line for your bottom line, compared to free pouring pour spouts. So get a grip on your inventory control, the first step is with these top quality measured pour spouts. Every color measures a different amount. 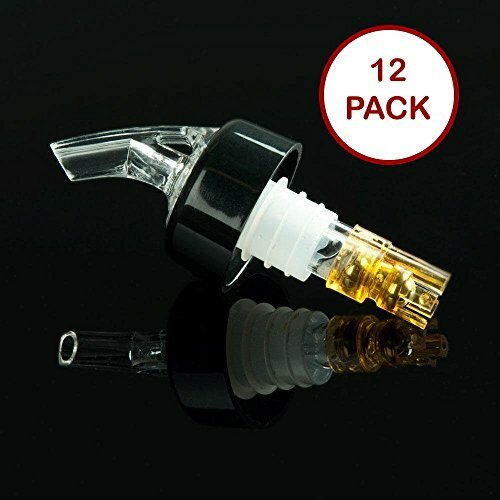 Made of hard plastic with graduated fins on the neck, this fits on most standard liquor bottles and serves as a liquor pourer and drip stopper.